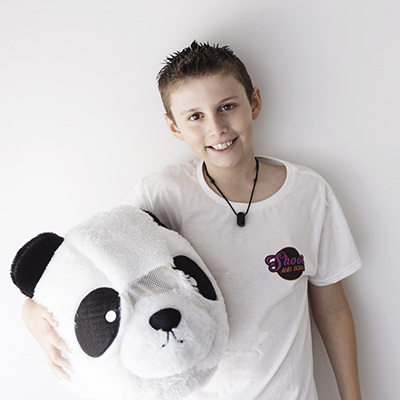 In September 2017, Neo (who was then 9 years old), spent his pocket money on a “Panda Head” from K-Mart, and decided that he would wear it on the train, on the way to Riverfire. By the end of the 30 minute journey, he had the entire (very full!) train laughing at his antics. Kids were “dabbing”, getting him to dance, chasing him around, coming up for hugs – he was making people smile, and he loved it! Neo had struggled to make friends since he moved to a new school, and this was just the boost he needed. We walked from train to the hotel, and the hijinks continued. He was making people smile, where ever he went! People were even stopping him and asking for a photo – including some hard working police officers! Before we knew it, The Panda Man was born! Always having wanted to contribute to our family business in some way, but being constantly told he was “too little”, Neo realised that this could be it! So, we ordered his very own “business cards” and had a t-shirt printed, and The Panda Man became the official Shoot and Burn mascot. Our baby boy couldn’t be happier! 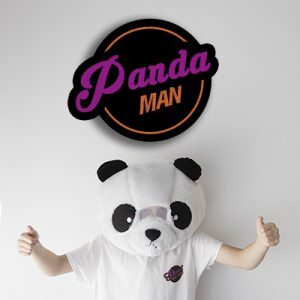 If you’d like to see more of The Panda Man, you can follow him on Instagram (@thepandamanchronicles) or get the skinny on all things Panda Man by reading The Panda Man Chronicles, RIGHT HERE. 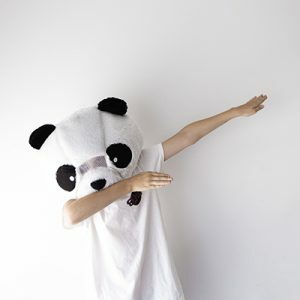 If you’d like to bring your kids to meet The Panda Man, follow his Facebook Page where we will post his location when we venture out and about. Follow The Panda Man on Instagram!